We had a terribl problem with ticks on our farm and had read and been told that guinea fowl would largely eliminate the problem. My Mother had already gotten Lymes disease and you could not go outdoors more than a few yards from the house without picking up a tick. We bought our first 6 guinea keets when they were just a few days old....some were the pearl gray and some were lavender. 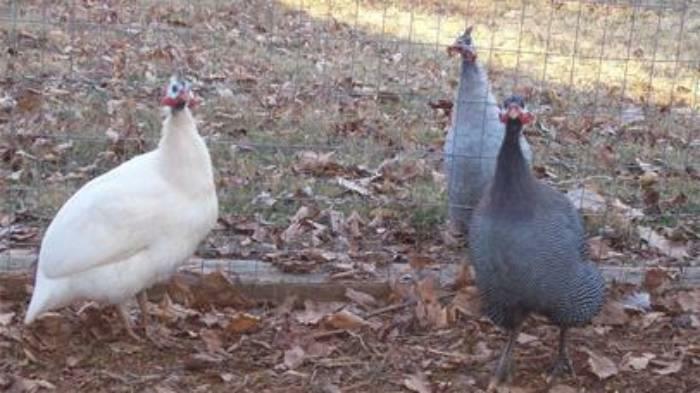 These African birds come in an amazing array of beautiful colors and over the years we have enjoyed whites, pearls, blues, royal purple, lavender, pied, brown, etc.! The guineas were indeed very helpful with tick control but we needed more than 6. It took around 20 to keep the 2 acres around the house largely tick free. We learned a lot with the first 6 and eventually started breeding our own. Smidgeon was the first keet born on our farm and I was so excited that I brought her in the house to tame her and share space with a baby chicken I was raising. Smidgeon and Chirpy would sit on my shoulder and sleep on my arm. Smidgeon is still here raising keets every summer and coming to me when I call. She is the most tame of our guineas as we did not raise any more in the house. 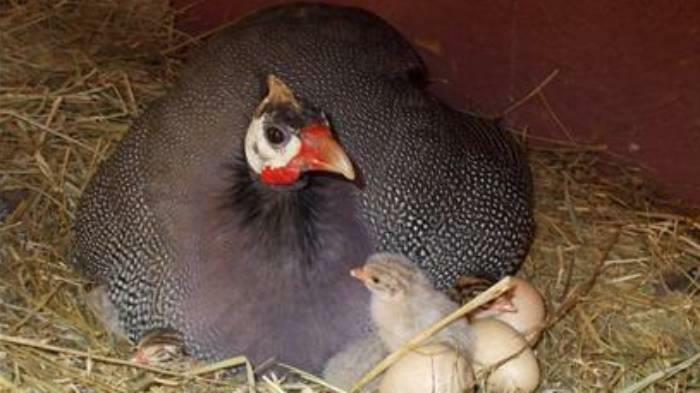 As others have said guinea fowl are unique in many ways. They are great watch-dogs, alarming at any strange person or animals (yes they are noisy, but also make pleasant sounds). The hens lay delicious eggs throughout the summer which are excellent in baking (though you sometimes have to search for their nests which they hide). They are not birds that will come up and eat out of your hand unless you spend a great deal of time taming them from the time they are born. The females are for the most part, good mothers and very protective.....do not get between a mother and her keets. 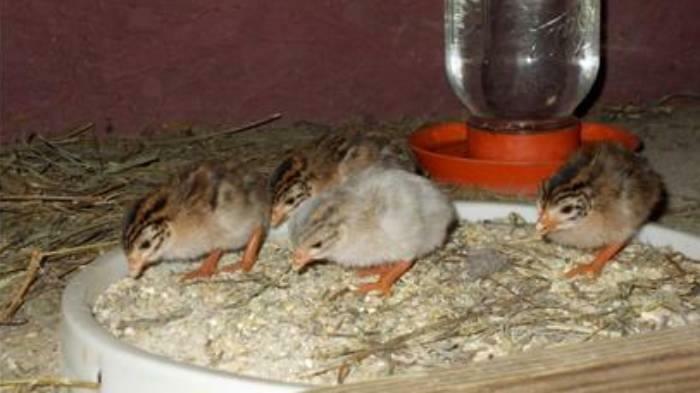 You must keep them in this home where they have roost poles, fresh water and food at all times for a full 4 months after they begin living there. If you do this, once you let them out to free range, they will always come back at night to roost. Occasionally we have to use a pole to push them out of the trees above the guinea house, as going up high is their instinct. But they always come back to roost in or near the house after that. We love our guineas! They have such personality, are entertaining to watch, are beautiful in flight and provide eggs, tick protection and alarm service!